Dr Gill Ainsworth is a social scientist working at the Centre for Ecology and Hydrology (CEH) in Edinburgh. She is currently engaged with a NERC project exploring cultural values around marine eco-system services. Gill is also an Honorary Research Fellow with the Research Institute for the Environment and Livelihoods (RIEL) at Charles Darwin University in Australia. Following her PhD studies she had a Research Fellow position in the Understanding Predation project at Aberdeen University, Scotland. 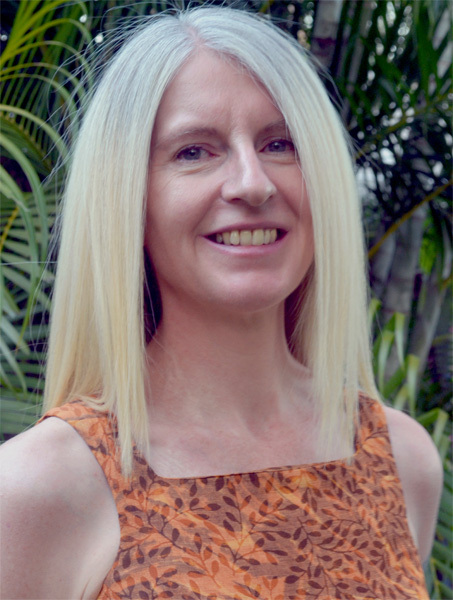 Gill has worked in environmental conservation since 2001 with positions at The Wilderness Society Victoria, the Environment Centre of the Northern Territory, the Environmental Defenders Office NT and RIEL, where she worked for three years before embarking on her PhD. Previously, she worked in the pharmaceutical market research industry with positions in Australia, Hong Kong, Spain, the UK and the USA. Her graduate studies (MA Hons Mandarin & Japanese) included a year studying in Xian, China at the time of the Tiananmen demonstrations. Gill is a keen naturalist and has hands on experience of land management, living on a 23 acre bushland property near Darwin since 2002. She developed Treehugger to turn her daily wildlife observations into a practical field guide for the local community. 2011: $6,000 The Nature Conservancy Applied Conservation Award 2011. Black-Cockatoo Case Study. 2010 - 2013: $5,000 various research and travel grants from Charles Darwin University, Faculty of Engineering, Health, Science and the Environment. A Tale of Two Cockatoos was funded by The Nature Conservancy Applied Conservation Award 2011. Please help spread the word by sharing the film with your family, friends and colleagues and embedding the video on your social media page!